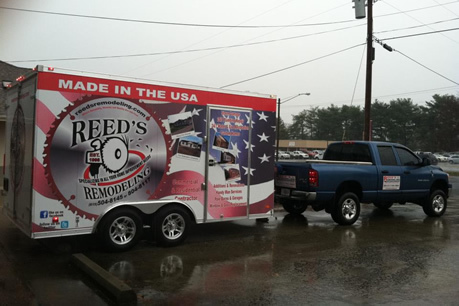 Reed’s Remodeling and Construction has been in business since 1998 and is family owned and operated by Justin Reed & family. We have the recognition and reputation for being one of the most respected home remodeling (including kitchen remodeling and bathroom remodeling) and custom home builders in the Murfreesboro area. We specialize in custom home remodeling, with an eye for attention to detail and excellent craftsmanship. For over 20 years we have been proudly helping your neighbor's dreams come true with all of their construction needs. We are a licensed contractor, licensed plumber and certified in structural drying. At Reed’s Remodeling & Construction our slogan is “Where Reliability, Honesty and Quality Are Still First”. Choosing to build a new home or do some home remodeling is a big choice, and you deserve a company that has the experience, know-how, skill and committment to ensure that you get exactly what you have been looking for. From beginning to end of your project, we will work closely with you to make sure you are involved and that you get the exact look you have been dreaming of. As an unlimited Licensed General Contractor, we can create the biggest and most beautiful home you can afford. However, we can also build something small, cozy, and beautiful. Our number one priority is customer satisfaction. Copyright 2016-18, Reed's Remodeling. All rights reserved.